Lately I have felt a bit like a slacking blogger… first there was Easter and I really did not have a lot of time to blog and then straight afterwards came the flu, which put me out of circulation for a while… but now I feel better and I am back! A few weeks ago I read a thread on one of my Facebook groups all about dog grooming. Basically someone was getting a puppy and they had asked what other owners where using for grooming. As I am always on the lookout for something I might have missed or something regarded as better or easier when it comes to pet care I studied the replies very carefully. A lot of the products were very familiar to me but one was not – a furminator. Weird sounding “tool” I thought but off to Mr. Google I went. I found out what a furminator was and now I wanted one! It is a brush designed in a specific way that it effortlessly removes all the dead hair / fur. I don’t have one but I wanted to try it out. Then came Saturday and off shopping I went. My brother in law (to be, I think… one day) had come to us from Poland for a visit and so off we went shopping to procure a list of items requested by my sister and my parents. Step one TKMaxx, as it is always a good starting point for any shopping spree 😉 So we are walking around and filling the basket with weird items… and then we hit the sales “red card” home section… Roman being a strange fellow is offering me some weird product to try and buy – one of them being a cooling bandana for dogs – great idea if we had a Chihuahua in the house (it was in size XS) and then he passed me something really odd looking – a bright green tool, which I could only describe as a window scraper… to my huge surprise it was a dog furminator in size XL and price tag of £5.20. Serendipity don’t you think? So now you know how I come around to owning this weird sounding grooming tool. I must admit it was love from first use! I am not sure what you use to groom your dogs but I normally use a slicker brush on Lilly. I found that it is taking the most amount of loose hair in the shortest time, but Lilly is not a huge fan of it. I guess a slicker brush has a lot of sharp pins and even the one with ball pin heads must hurt her a little when used repeatedly in the same spot. She lets me groom her but she is not happy about it, she moves around and twists and turns… However with our new furminator there was totally no movement; it is like she doesn’t even feel it. It removes hairs within minutes and Lilly totally doesn’t mind. The teeth in the furminator are not sharp so there is nothing to hurt her. The furminator is advertised for all type of dogs, though I didn’t really believe it… there is no tool which will do it all but… I was wrong! It worked just as perfectly on Bunk as it did on Lilly. I am very impressed with our new grooming tool. It is solid, a bit too heavy maybe for really long sessions, but it works perfectly! On the day I bought it, when we returned home we went for a walk with the dogs and within 5 or 10 minutes Lilly was all done, no loose hairs coming out of her whatsoever. Probably due to the flu but I didn’t think about writing this post at that time, so sadly there is no pile of fur to show you as proof but I hope you can take my word for it. 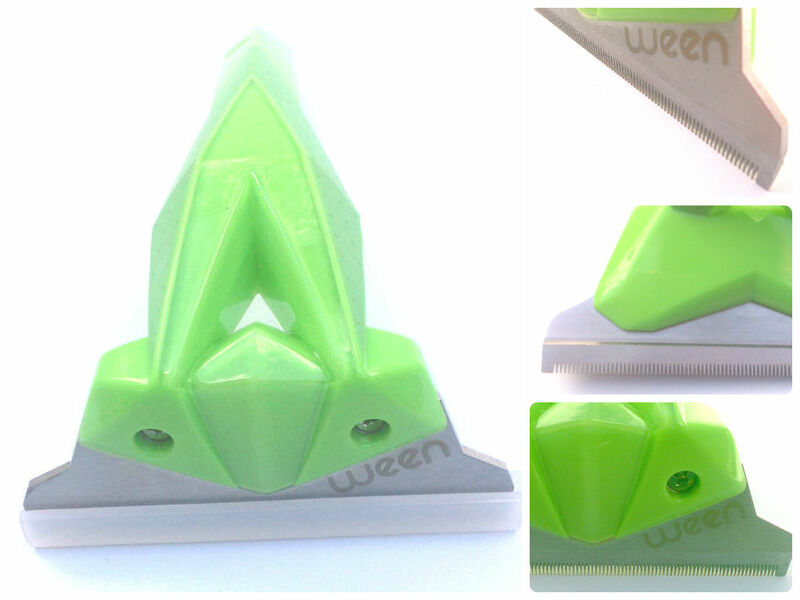 The company who manufactures this brush – Ween – is a bit sketchy to me – maybe because I do not understand the website. If I had found this as an online link and checked out their website I do not think I would have gone for this brush… and it would have been my huge lose! Now that I own the brush, have used it and now know how it works I would have absolutely no objections to spending £40 for it in the first place. Luckily I found it for just over £5 but still even if the Ween furminator would cost around £40 (again no idea how much it retails for) knowing what I know now I would recommend it and I would buy it at this price. So now I wonder, do you own a furminator? What is your must have grooming tool for dogs? Wow what a bargain, we’ve been looking at these at our local pet shop and yes they are £40. Will be heading to TK Maxx this week! We don’t have a dog, or any pet for that matter. So had no idea what a furminator was! I have to admit our cocker spaniel seems to take care of himself! Dog grooming is definitely a business in its own right! We know a lovely lady who takes good care of him in terms of nails, etc. and he goes there for sleepovers! Oh wow now that was a bargain at that price if it was originally £40! I don’t own a dog but have three cats, one of which is a total fluff ball and he could do with something like this! I have never heard of it before. The world of dog grooming is boggling but big business. I can’t believe that it is £40 for a comb!! Does this work on young children’s hair too? Lol. Stacey’s drives me mad – it malts everywhere!!! I’d love a dog but must admit I worry about the fur – and the fact that my cat Brenda would be very unamused! I have a couple friends with doggies though so will mention this one to them. We love the fulminator – the cat one is totally amazing although they are not so keen as it’s not a gentle comb. I didn’t try it on a cat yet. I think my one might be too big for them anyway. I don’t have any pets so no I don’t own one of these grooming gadgets.But I am sure it going to be useful. We’re thinking of getting a dog but I know the hair would drive me nuts. This could be just what we need. I have huskies and I heard about the fulminator; then someone said that it cut the hair and damaged it so I avoided it. It sounds great though; my tool has been the rubber broom I got for £5 at the Baby show bizarrely enough! I took the handle out and it cleans my upholstery like nothing else!